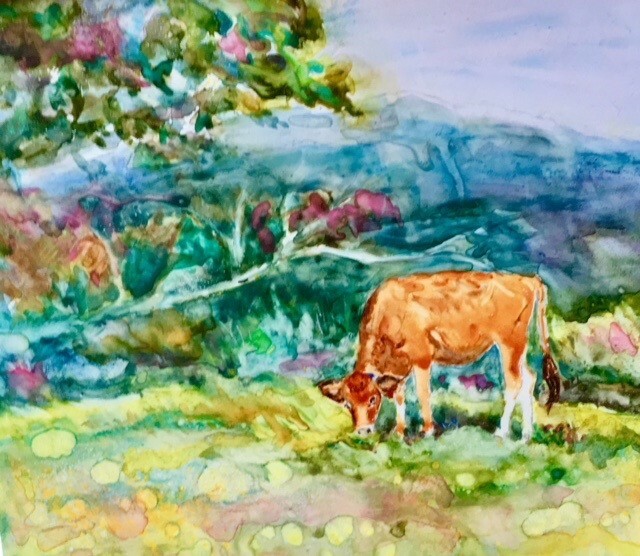 A group exhibit of eighteen New Hampshire artists will be held at the Civic Center’s upstairs Cunningham Gallery from August 10th to September 7th to celebrate Mount Monadnock and the region. An Opening Reception will be held from 4 pm to 7 pm on Friday, August 10th. There will be live music, and refreshments as well as the opening of the Dean Murder exhibit downstairs in the Auditorium Gallery. Notable local authors, Jack Coey and Eric Stanway will be on hand to sell their books related to the Monadnock area. Free and Open to the public. parking in rear. Hours are Mon-Fri 10-5, (closed 12-1 pm), Sat 10-2. Admission is always free. For more information about us, call 603-532-6527, e-mail us at info@thejaffreyciviccenter.com find our website, www.jaffreyciviccenter.com, or “Like” us on Facebook.